Unfortunately this event is cancelled but will be rescheduled for later in the year. 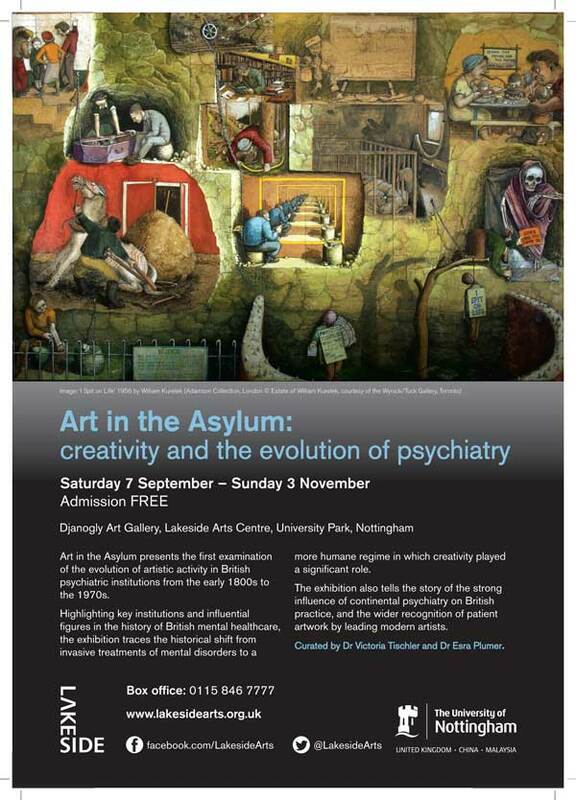 Art in the Asylum: creativity and the evolution of psychiatry is an upcoming exhibition at the Djanogly Art Gallery Lakeside Arts Centre Nottingham. It runs Saturday 7 September – Sunday 3 November. Also running alongside is the video installation MARAT SADE BOHNICE: Althea Thauberger. 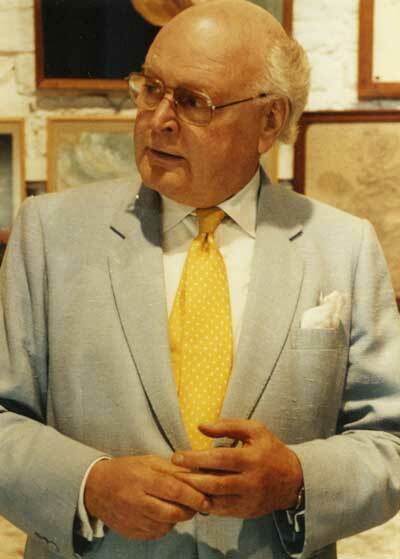 Highlighting key institutions and influential figures in the history of British mental healthcare, the exhibition includes the earliest use of creativity in the Crichton Royal Institution in Dumfries under the direction of Dr. W. A. F. Browne; the pioneering work of Edward Adamson at the Netherne Hospital in Surrey; and the free expression of residents at Kingsley Hall in London, a therapeutic community run by Dr. R. D. Laing. Works by Richard Dadd and Louis Wain represent some of the most well-known patient art associated with the Bethlem Royal Hospital, or ‘Bedlam’. The exhibition also acknowledges the strong influence of continental psychiatry on British practice with the inclusion of artworks by patients under the care of notable psychiatrists such as Walter Morgenthaler, Hans Prinzhorn and Leo Navratil; they include Adolf Wölfli, Johann Hauser and August Walla represented in the exhibition by important loans from the Collection de l’Art Brut in Lausanne established by Jean Dubuffet. 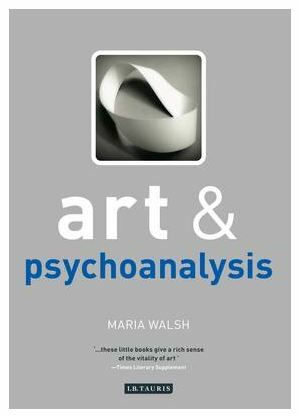 Uncovering fascinating stories, this historical overview provides insight to the diagnostic and therapeutic use of patient artwork, its influence on the development of humane psychiatric practice, and its wider recognition by artists associated with Art Brut and so-called Outsider Art. Running concurrently with Art in the Asylum is a new video installation by Canadian artist Althea Thauberger, featuring a filmed performance of Peter Weiss’ 1963 play Marat/Sade at the Bohnice Psychiatric Hospital, Prague, in 2012. Marat/Sade imagines the infamous Marquis de Sade as author and director of a play about the bloody assassination of Jean-Paul Marat while the former was interned in the Charenton asylum in 1808. A time of great institutional reform, this period saw the beginnings of the reformation of the treatment of mental illness from punishment to therapy. In the 1963 play, the inmates of the asylum enact the drama, and are always partly themselves, as patients, and partly in historical character. While the original play is set in the bathhouse of Charenton, Thauberger’s filmed production is performed to an audience of staff and patients in another post-revolutionary institution: Bohnice, the largest psychiatric clinic in the Czech Republic. Characteristic of her collaborative projects with specific social groups or communities, Thauberger’s film includes interviews with psychiatric staff and patients at Bohnice giving the participants a voice and raising questions about institutionalization, power and self-determination. Accompany the exhibition and are free! Dr. Esra Plumer and Dr. Victoria Tischler on the historic use of art in mental health institutions and the interplay between creativity and madness, introducing some of the spaces, places and key figures in the fascinating history of crossover between visual art and mental health care. 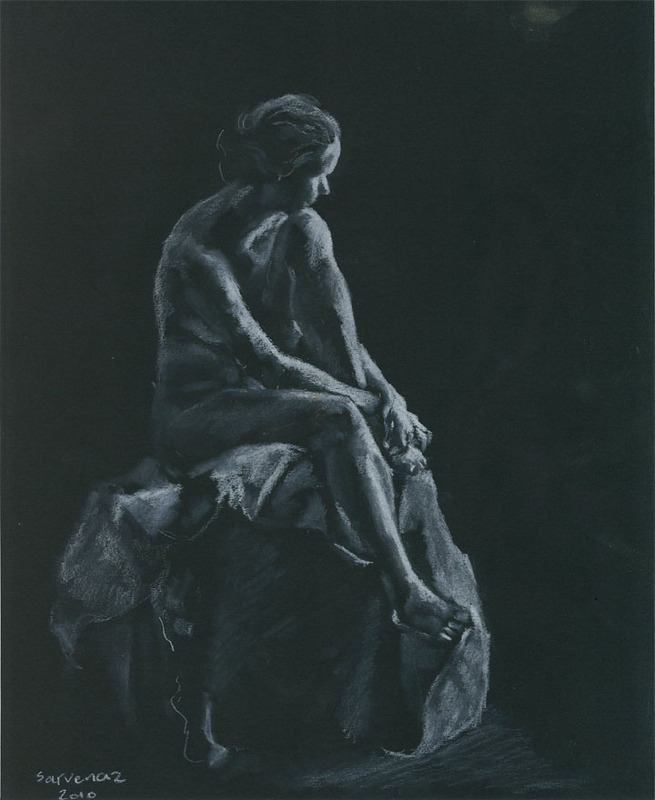 Dr. Susan Hogan (University of Derby, author of Healing Arts: The History of Art Therapy 2001) with contributions from John Timlin (Adamson Collection) and Dr. David O’Flynn (Consultant Psychiatrist & Chair of the Adamson Collection). 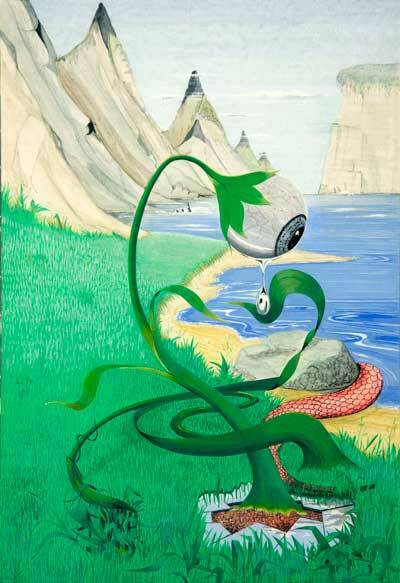 The groundbreaking work of the ‘grandfather of art therapy’ Edward Adamson is considered alongside associations between therapy and Surrealism. Dr. Maureen Park (University of Glasgow, author of Art in Madness 2011) discusses the pioneering work of Dr. Browne and his collection of patient art, the oldest surviving collection of asylum art in the world. Jules Evans (author of the bestselling Philosophy for Life: and other Dangerous Situations 2012) with Dr. Ben Di Mambro (Consultant Psychiatrist) and Dr. Arun Chopra (Consultant Psychiatrist) From ancient philosophy to Cognitive Behavioural Therapy (CBT), recent controversies in psychiatric diagnostics and the launch of the DSM-V, the speakers discuss how old and new approaches might interact in the provision of mental health care today. 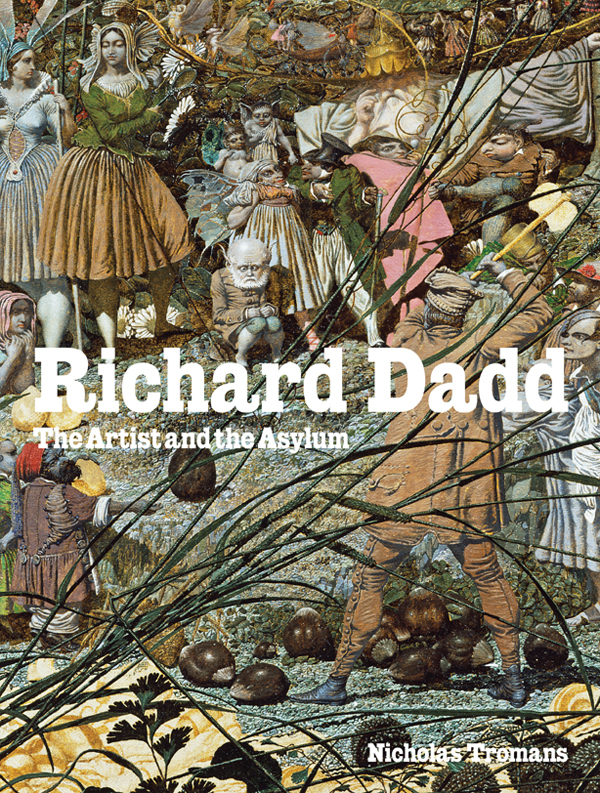 Looking into art from the asylum: Prof. Roger Cardinal (author of the seminal text Outsider Art 1972); and Richard Dadd and Asylum Art of the 19th century: Dr. Nick Tromans, Curator, Watts Gallery, Surrey. 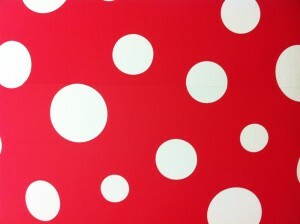 We recently visited Yayoi Kusama retrospective at Tate Modern. Kusama is perhaps Japan’s best-known living artist. Now in her ninth decade her body or work stretches back to the 1940s and encompasses painting, sculpture, drawing and collage. She is best known for immersive large-scale installations. 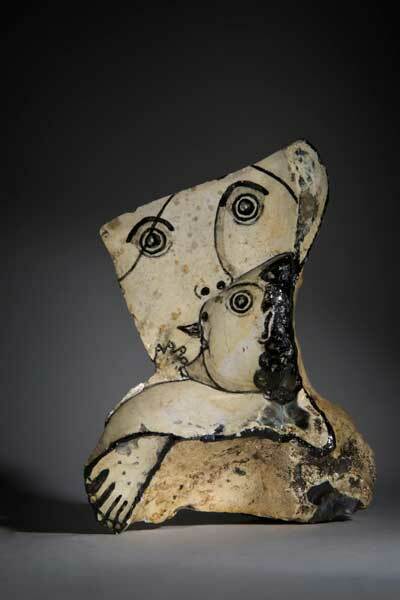 In the 1960’s and 1970’s she became a well-known figure in the New York avant-garde, returning to Japan in 1973. Since 1977 she has lived voluntarily in a psychiatric institution and much of her work is marked by obsessiveness and a desire to escape psychological trauma. Her installations are an attempt to share her experiences with endless dots and infinitely mirrored space. A small collection of Richard Dadd’s paintings is being exhibited Feb – April 2012 in the Bethlem Hospital museum – details. 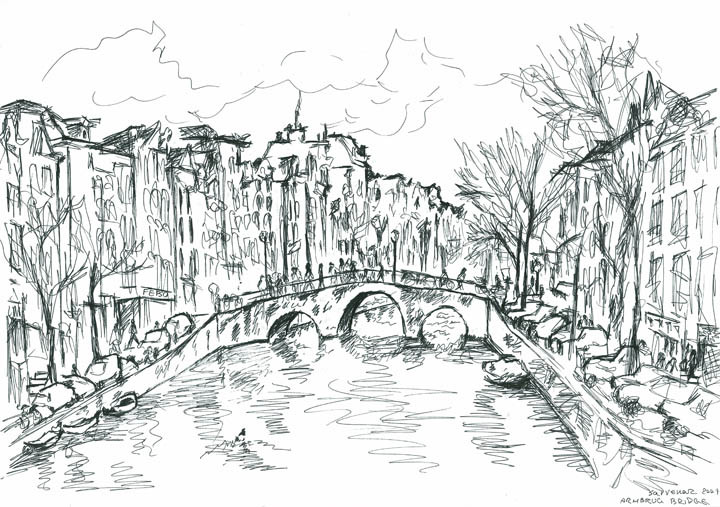 Dr Sarvenaz Keyhani has kindly allowed this site to display more of her artwork. 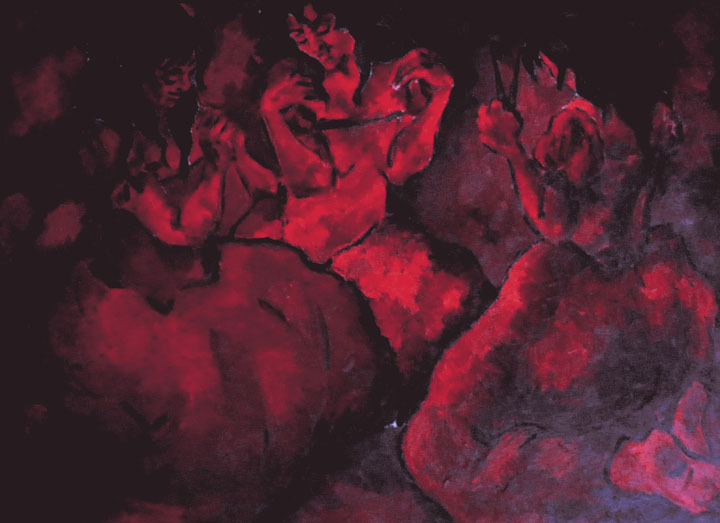 The three fates is oil on canvas size approximately 60 by 90 cm. It is based on the Greek myth of three goddess of fate: One weaves the thread of human life, the second measures it, and the third cuts it when someone dies. 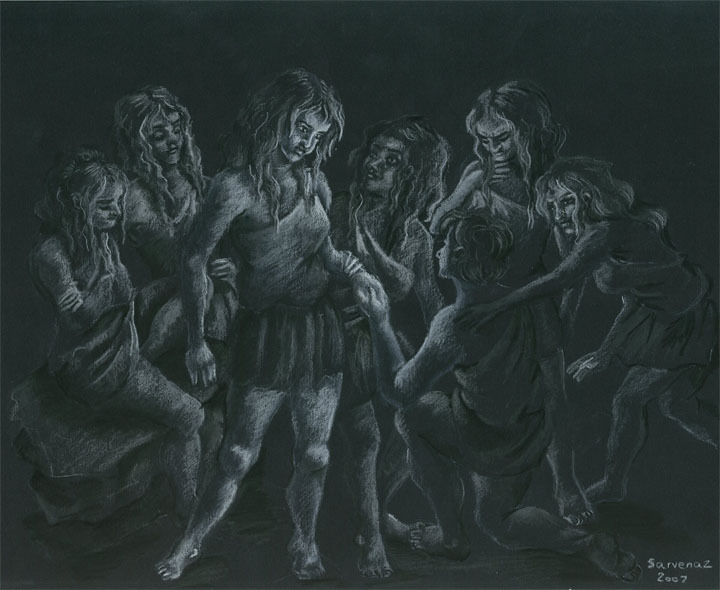 The Greeks believed even the gods couldn’t run away the fates and their destiny. 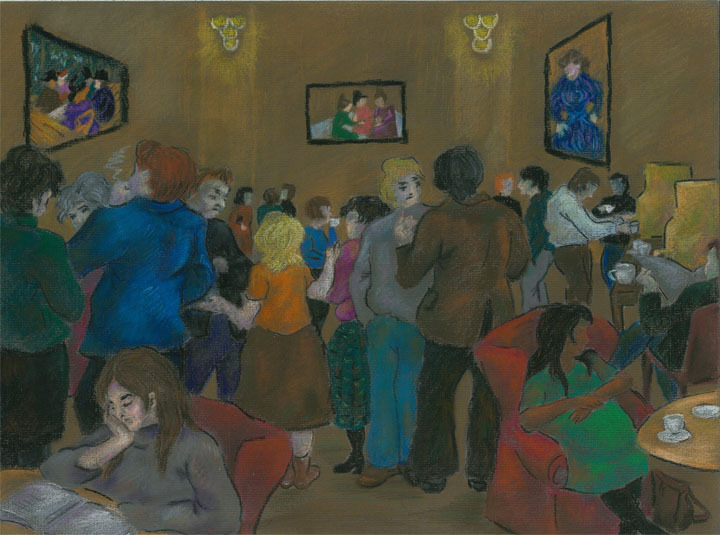 This is one of the artist’s favourite paintings, Age of innocence and was painted after watching a movie 1-2 years ago. 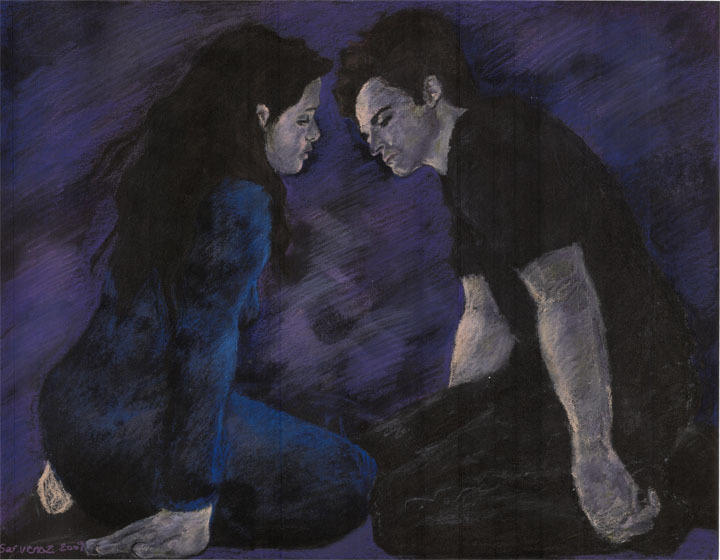 It’s chalk pastel on black paper and the colours limited to blue and light purple. 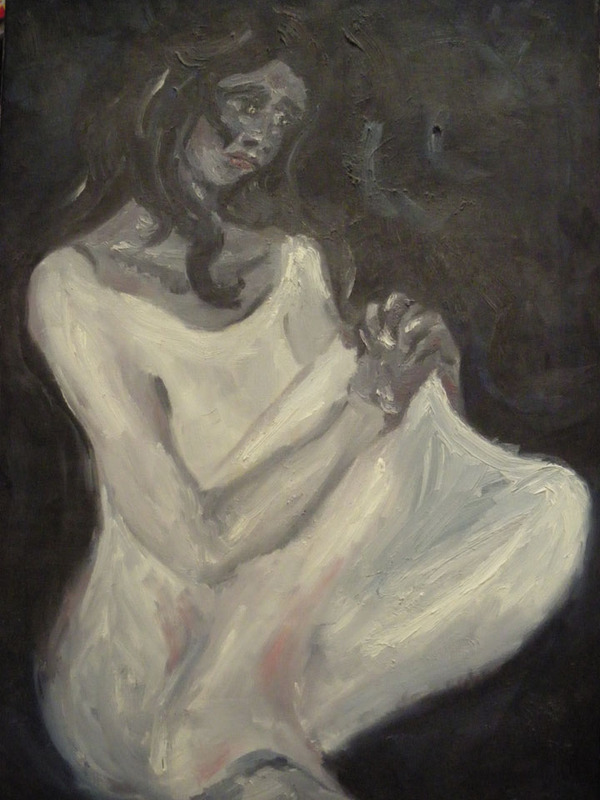 This is one of the series of blue paintings. 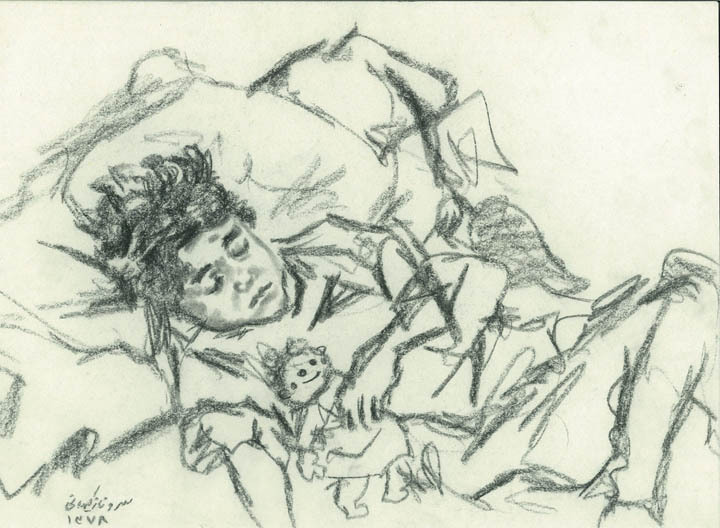 The sleeping girl with a doll is a charcoal on paper drawing from 2000, when the artist was doing pre-internship in paediatrics in Tehran. 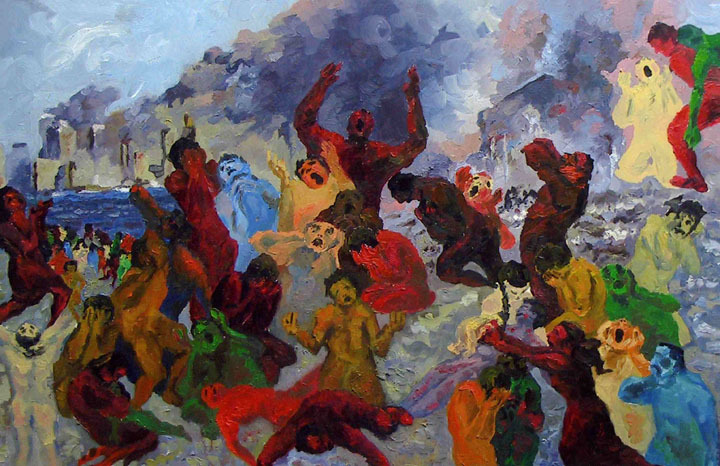 http://bjp.rcpsych.org/content/198/4/252Dr Sarvenaz Keyhani is a psychiatrist and an artist and has been featured in the British Journal of Psychiatry. Dr Keyhani has kindly allowed this blog to publish some of her works with her own captions. If you click on a picture this will take you to an enlarged image.